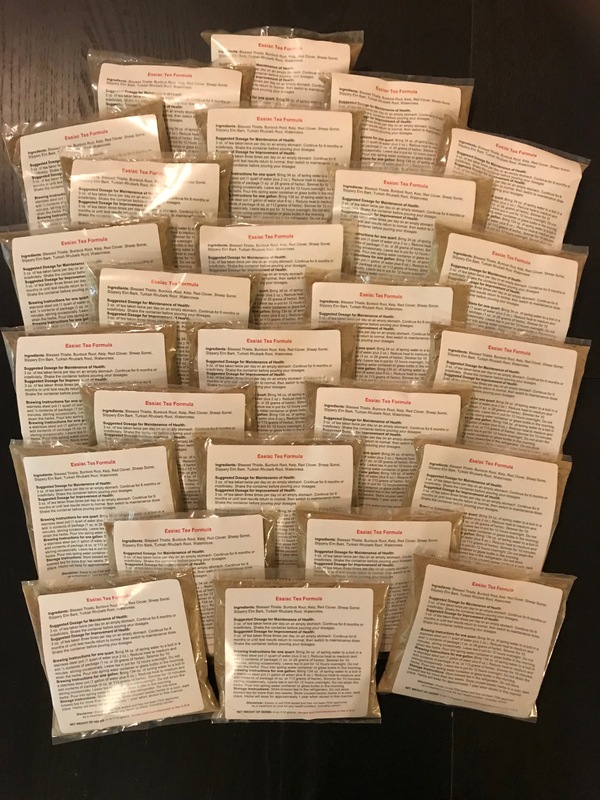 Thermal-Sealed and Labeled polybags of organic essiac blended herbs. 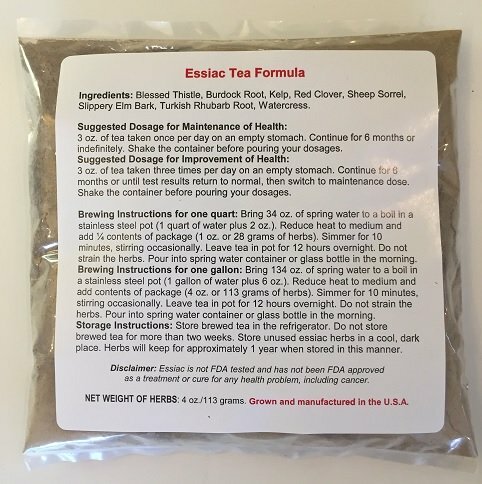 Eight herb essiac formula. The individual packets are very convenient. We have been using this product daily for many years now. Don't know if it helps but think it can't hurt:)As senior citizens we can say we are in good health, no cancers or other disease. I feel a lot better than I did before starting to take this Essiac decoction. It's still too soon to know how it's affecting my tumors.